However 40 per cent of organisations around the globe still haven’t updated to Microsoft’s latest version of Windows, released two years ago today. A shockingly high number of organisations around the world have still not upgraded to Windows 10, despite the software being available for several years, new figures have said. In a study marking two years since the release of Windows 10, networking firm Spiceworks found that only 60 per cent of global organisations have upgraded to the newest platform in this time. The UK was found to be one of the highest adopters, with the EMEA region seeing 62 per cent penetration rate for Windows 10. Perhaps unsurprisingly, the highest adoption rates were seen in the software industry (75 per cent) and in businesses with 100 to 500 employees (67 per cent). This surge in adoption has led Windows 10 to capture the second-highest share of global operating systems, behind Windows 7 - but Windows XP still remains a threatening presence on many systems. 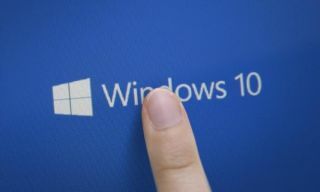 According to Spiceworks data, Windows 10 is now running on 13 per cent of laptops and desktops in businesses - a major rise from the nine per cent recorded only three months ago. Windows XP is currently running on 11 per cent of desktops and laptops. “In recent months, widespread ransomware attacks such as WannaCry and Petrwrap have put businesses under pressure to upgrade unsupported operating systems, such as Windows XP and Vista, and move to more secure systems like Windows 10,” said Peter Tsai, senior technology analyst at Spiceworks.